An insect may be a small thing, but an insect phobia can cause big distress. One never knows when some creepy-crawly unexpectedly emerges near-by. People with insect phobias can react with intense discomfort or fear. If this happens in public, it draws unwanted attention. I have even had clients report being taunted by others when they discover how intense their reaction was. Needless to say, this can be very embarrassing as well as anxiety provoking. Two common insect phobias are the fear of spiders and the fear of roaches. People who move to new suburbs may face a problem with spiders. Spiders can live in undeveloped areas. When new construction comes in and the raw land is being transformed into a residential area, the spiders move in too. I have had clients in new areas of Plano, Allen, Frisco, McKinney and in Richardson, Texas report this problem. However, a different problem often plagues those who live in the older areas of town. That would be roaches. 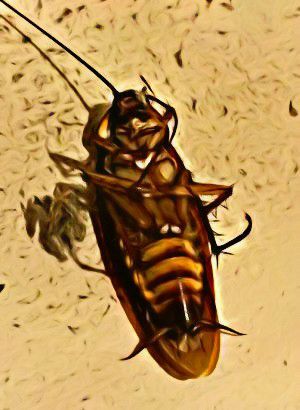 Clients of mine who live in older area of Dallas, Garland, Carrollton, Irving and Highland Park, Texas have reported roach problems. Unfortunately, this is a problem that can occur almost anywhere in the DFW area. It is particularly embarrassing to be startled by some bug in a restaurant. I had one client who actually screamed when one crawled onto her table. Fortunately, an insect phobia can be treated. People's reactivity can diminish dramatically or even be completely gone after therapy. An example of this occurred when I presented at a psychotherapy conference in Canada. During my presentation, I ask if anyone in attendance had a phobia that they would like to work on. A woman volunteered and reported having a spider phobia. I almost jokingly asked if anyone in the audience happened to have a photograph of a spider. To my amazement, a guy reached into his briefcase and pulled out an 8" x 10" glossy photo of a terribly ugly spider. 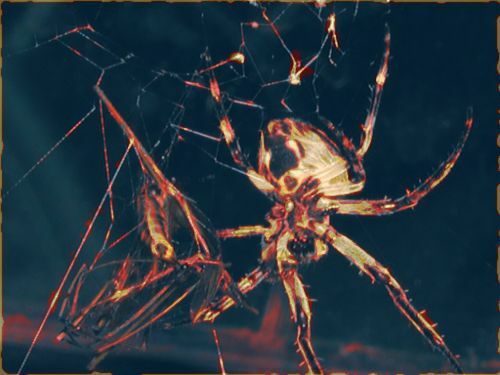 It had built a web on the man's front porch. He had taken a photo and developed it a couple of days earlier. Luckily, he still had it in his brief case. This powerful visual aid enabled me to clearly measure the volunteer's response to treatment. When we began, I had to hold the photo at least 10 feet from her. That was the closest distance that she could tolerate. If the picture was close, then she described her fear at a level 9. This ranking was on a scale of 0 to 10. Ten represented the most intense fear. We worked on the insect phobia, her fear of spiders, using Quick REMAP. Quick REMAP is a behavioral desensitization therapy. It is a powerful treatment innovation that I have developed and was presenting on at the conference. As the treatment unfolded, I was able to help her calm her sympathetic nervous system and reduce her anxiety. The treatment was repeated multiple times as the image of the spider was gradually moved closer and closer to where she was sitting. By the end of the treatment, she was able to hold the picture in her hands and look at the spider. She reported that her distress level had dropped from a level 9 all the way down to a level 2. I encouraged her to follow-up our treatment by working with someone local who could take the therapy one step further. She was now ready to work with a live spider or a dead one that could be contained in a jar. After treating any past memories of bad experiences with insects, people become ready to treat their reaction to images or videos of bugs. When they can be relatively comfortable with pictures, then they are ready to increase their comfort level by treating their reaction to a dead or contained insect. Little by little, an insect phobia can be desensitized. Then it is possible to have greater comfort in the presence of those things that used to bug you. If you need help to overcome a phobia, call Steve today at 972-997-9955. Steve Reed is available for an office appointment for your counseling and psychotherapy needs in the Dallas, Fort Worth, DFW metroplex, including Addison, Allen, Arlington, Bedford, Carrollton, Colleyville, Denton, Euless, Flower Mound, Frisco, Garland, Grand Prairie, Grapevine, Highland Park, Hurst, Irving, Keller, Lake Highlands, Lewisville, McKinney, Mesquite, Murphy, Plano, Richardson, Rockwall, Rowlett, and University Park. He provides therapy at his office in Richardson, TX. Treatment is also available via phone counseling to people worldwide.